THE government has finally sent ONGC an information memorandum (IM) based on which the PSU would make an offer to buy majority stake in HPCL, officials told a news agency. The Cabinet had on July 19 approved the sale of government's entire 51.11 per cent stake in Hindustan Petroleum Corp Ltd (HPCL) to Oil and Natural Gas Corp (ONGC) as part of its Rs 72,500 crore disinvestment target for the current fiscal, 2017-18.
in August and it was expected that an IM containing detailed information on HPCL's assets and liabilities would be handed over to ONGC by mid- September so as to help it firm up a value for the stake buy. "In a typical strategic stake sale, the government opens data room for potential acquirer to access information on the target company. But in case of HPCL this is being done on the basis of largely publicly known information that has been put in IM," an official who wished not to be identified said. Originally, the Department of Investment and Public Asset Management (DIPAM) was keen to close the transaction in October or November itself but it managed to send the IM to ONGC only on October 31. 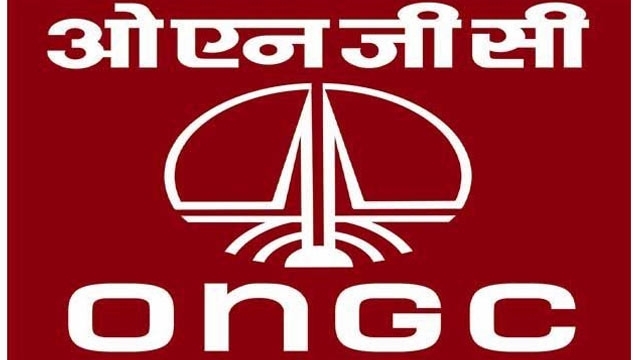 Meanwhile, ONGC Chairman and Managing Director Shashi Shanker said the PSU is hoping to close the deal by March 31. The proposed stake sale at current prices may fetch the government about Rs 35,000 crore. "We received IM on October 31 and we would do independent valuation of HPCL," he told reporters on November 1. JM Financial is DIPAM's the transaction advisor for the stake sale. Cyril Amarchand Mangaldas has been appointed as the legal advisor for handling the stake sale. As ONGC and HPCL are under the administrative control of the Ministry of Petroleum, the latter has appointed 'Protocol Valuers Ltd' for suggesting valuation at which the government's 51.11 per cent stake in HPCL should be sold to ONGC. "We have appointed CitiGroup and SBI Caps as our transaction advisor and would be appointing valuation experts as well," Shanker added. On funding, he said all options are open for ONGC. "We have not yet decided. We have internal accruals and have secured shareholder approval for borrowing Rs 25,000 crore. Also we hold substantial stake in Indian Oil Corp (IOC) and GAIL, a part of which could be liquidated. So the funding could be one or a combination of these," he said. ONGC holds 13.77 per cent stake in IOC, India's biggest refiner, which at current trading price is worth over Rs 27,800 crore. It also holds 4.87 per cent stake in gas utility GAIL, which is worth about Rs 3,900 crore at current prices. Officials said the merchant banker appointed by DIPAM will assist the government on "modalities of disinvestment and the timing" as well as recommend the need for intermediaries required for the process. It will do business valuation of HPCL, structure the transaction, suggest measures to fetch optimum value and assess positioning of the strategic sale. Besides, it will prepare all documents like information memorandum (IM), confidentiality and transaction agreements such as pact to sale and the share purchase agreement. The legal advisor will review and advise on all legal contracts, titles of properties, assets, real estate, intellectual property rights and contracts with employees. It will also draft transaction related documents and advise on the structure of the transaction, including compliance with Sebi guidelines and stock exchange listing norms.